The acclaimed New York Times best-selling author of The Most Dangerous Thing, I'd Know You Anywhere, and What the Dead Know returns with an addictive story that explores how one man's disappearance echoes through the lives of the five women he left behind - his wife, his daughters, and his mistress. Dead is dead. Missing is gone. When Felix Brewer meets nineteen-year-old Bernadette "Bambi" Gottschalk at a Valentine's Day dance in 1959, he charms her with wild promises, some of which he actually keeps. Thanks to his lucrative - if not all legal - businesses, she and their three little girls live in luxury. But on the Fourth of July in 1976, Bambi's comfortable world implodes when Felix, facing prison, vanishes. Though Bambi has no idea where her husband - or his money - might be, she suspects one woman does: his devoted young mistress, Julie. When Julie disappears ten years to the day after Felix went on the lam, everyone assumes she's left to join her old lover - until her remains are discovered in a secluded park. Now, twenty-six years later, Roberto "Sandy" Sanchez, a retired Baltimore detective working cold cases for some extra cash, is investigating her murder. What he discovers is a tangled web of bitterness, jealousy, resentment, greed, and longing stretching over five decades. And at its center is the man who, though long gone, has never been forgotten by the five women who loved him: the enigmatic Felix Brewer. Felix Brewer left five women behind. Now there are four. Does at least one of them know the truth? When I first read the synopsis for this novel, I mistakenly thought it would focus on Frank and his absence. As in where he went and what he was doing. I should have known better. 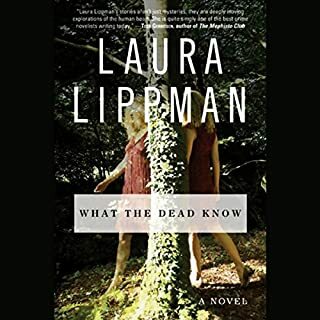 For the most part, Lippman’s stories revolve around women and how their lives are affected by their pasts and some of those pasts have problems or incidents that stem from the men in their lives. But those incidents are just causes for how the women have to live their lives around them. They’re not the focus. That’s what we have here. Bambi (oy that name drove me bananas) and her daughters are going forward through life as best they can without knowing much about Frank’s disappearance. The money Frank was to have left them never got to them and they think that his mistress took it. How else could she have afforded to become a respected business owner if not for stealing what was theirs, something she had a talent for? When she’s found dead, they still have no answers. Or money. Then Sandy Sanchez, retired police detective, decides to take on the mystery of mistresses’ death; a very cold case. He finds inconsistencies and facts that were previously overlooked. Soon the family is in uproar again. Sandy’s narrative basically drives the novel and keeps a common thread, but the story belongs to the women. Their relationships are complex and brushed with a veneer of distrust. At least that’s what I felt from them. That they don’t quite believe any of them is telling her whole story. And that’s what helps keep us distracted until the end when the solution is revealed. Nice misdirection, Ms. Lippman. It isn't often I do this, but I finished this book in 4 short days. Typically I take weeks to complete an audiobook; this is a rare exception. 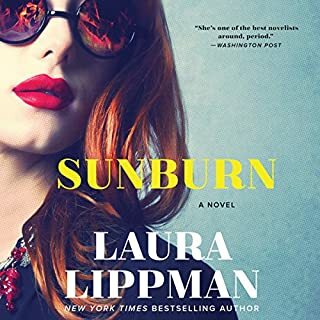 I have read all of Laura Lippman's previous books and enjoy her characters and stories, so didn't concern myself with reading any listener reviews for this one. While this book is a whodunit, it is more of a study of characters - their lives, relationships, motivations, machinations, etc. I found this to be a stellar story and listen. Often I find I am somewhat neutral where the narrator is concerned but not in this instance. Linda Edmond's reading enhances the book, and her Baltimore accent is spot on. The story jumps back and forth between the present and the previous 50 or so years, but is not confusing in the least. Lippman's characters (to use a cliche', but an apt one) leap off the "page" they are so fully-developed - she astonishes me in her ability to create such real people. There isn't one false note of dialogue, either. The story is engrossing, but easy to follow, and wonderful in portraying loss, betrayal and the effects of both on a variety of vibrant people. As far as the whodunit is concerned, while really secondary to the overall story, it kept me guessing. For readers who haven't discovered this wonderful author, please make sure to check out her Tess Monaghan series (she makes a very brief cameo here). I enjoyed this novel--and discovered a new author!! After I'm Gone is a very good novel about the effects and consequences of someone disappearing to avoid prosecution. It follows the lives of those he left behind--lives that are left wondering and without resolution. I thought I knew how the story would end, but I was wrong and pleasantly surprised at the end. Linda Emond did a great job with the narration as well. 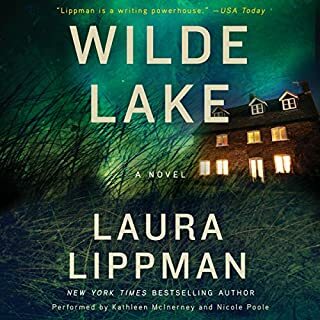 I have already added two of Laura Lippman's books to my wish list, and in the meantime, I recommend After I'm Gone to all who love a good mystery! This story is the Thornbirds of Reisterstown Road. It traces several generations of a Baltimore Jewish Family from the 1950s to the present day. 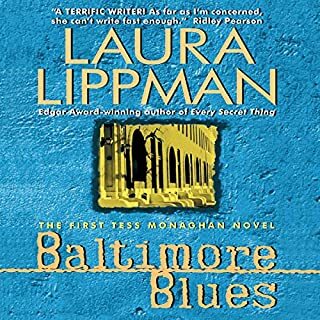 Laua Lippman fills the book with her pitch-perfect descriptions of life in Baltimore -- everything from the stained glass windows at Beth Tefilah to Berger cookies for dessert on Friday night. Our favorite Tess Monahan makes a cameo appearance at the end, but one wishes that she would come back for a full book. The plot has a few good twists at the end, but one gets the impression that the author did not quite figure out the ending of the book until she was about 3 quarters through. This is a good listen in its own right, but is a must for detective / police procedure novel fans who live or have ever lived in Baltimore. Mght also be a good idea to watch the movies Avalon and Diner as companion pieces to get another version of the Forst Park High School Crowd. Overall I think this book just rambled on and on about the characters and their personalities. I never identified with any of them or warmed up to any of them or suspected any of them as the potential murderer of Julie. When the murderer was finally revealed, all I could think was "huh". I was glad to finish the story. It won't be one I pick up again. Great story line. Many of Lippman's attempts to create characters other than Tess Monaghan were never as good as Tess. But Sandy Sanchez is wonderful and so are the other characters, I never guessed the ending. However, she should get rid of the phrase, "he or she is good police" in all her books. What other book might you compare After I'm Gone to and why? 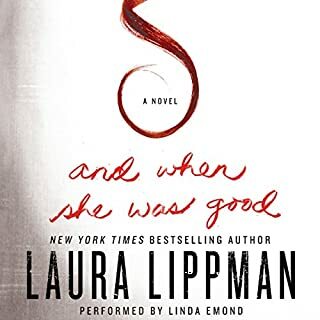 The best of Laura Lippman's books. Which character – as performed by Linda Emond – was your favorite? I think probably Sandy, although Linda Emond's narration is perfect for all the characters. Yes, although I did have to spread it out over several days! If you enjoy the Tess Monaghan series based in Baltimore and have been missing her style of PI work, then you need to read/listen to "After I'm Gone". It's excellent! This was a fun read with likable characters. It kept my interest until the end. Laura Lippman's books usually hold my attention from the very beginning of the story but this one never grabbed me. The jumping back and forth between time periods and characters was too confusing .... Sorry Ms. Lippman but this one failed, I rarely stop reading or listening but I did on this one after about 2 1/2 hours. 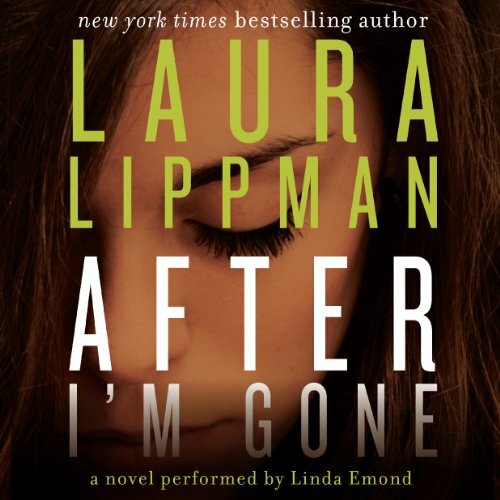 Would you try another book from Laura Lippman and/or Linda Emond? Just couldn't keep going after a number of chapters. Couldn't make myself care about these characters because of the boring and unnecessary details of these liars thoughts and lives. Yawn. 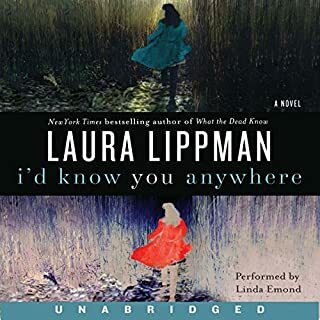 Would you ever listen to anything by Laura Lippman again?